Ethereum is in a bear market. Ethereum's bear market is caused by the same factors that made the cryptocurrency rise: ICOs. As the ICO projects unload their Ethereum for fiat, the downward pressure will continue. Ethereum's downside risk is due to asset-specific negative pressures. These pressures will cause Ethereum to continue underperforming its peers over the long-term so Ethereum should be avoided. 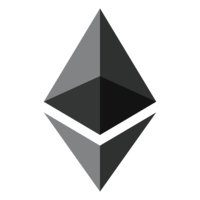 Ethereum is built on top of Bitcoin and expands its functionality by being programmable. Because Ethereum is programmable, it can be used to create decentralized applications called Daaps. The funding for these projects is also decentralized. Instead of going through traditional means like an IPO - these blockchain startups raise money through a crowd-sale called an initial coin offering or ICO. To participate in the offering, interested investors send a predetermined amount of Ethereum to the organization in return for tokens which they expect to then trade after the project goes live. The problem is that hundreds of millions worth of Ethereum has been sent to these ICOs, and these organizations are now sitting on an enormous amount of digital wealth. The liquidation of this Ethereum will dilute the market for Ethereum and put downward pressure on prices. Initial Coin Offerings are funded with Ethereum so they boost demand for Ethereum temporarily. Investors who want to invest in the ICO must first buy Ethereum and send that Ethereum to the ICO. However, once the Ethereum has been sent to the ICO, it will be eventually liquidated back into fiat. The event is a net neutral for people who owned Ethereum before the ICO, but a net negative for investors who buy Ethereum after the ICO. There have been dozens of ICOs in the past, and millions of dollars worth of Ethereum ready to be released back into the market, making this a bad time to invest in Ethereum.